Southwark (pronounced /ˈsʌðərk/ SUDH-ərk) is a destrict o Central Lunnon, Ingland, an the admeenistrative heidquarters o the London Borough of Southwark. Situatit 1.5 miles (2.4 km) east o Charing Cross, it forms ane o the auldest pairts o Lunnon an fronts the River Thames tae the north. 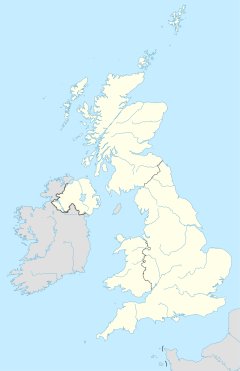 It historically formit an auncient burgh in the coonty o Surrey, made up o a number o parishes, which increasingly came unner the influence an jurisdiction o the Ceety o Lunnon. As an inner destrict o Lunnon, Southwark experiencit rapid depopulation durin the late 19t an early 20t centuries. It is nou at an advancit stage o regeneration an is the location o the City Hall offices o the Greater London Authority. This page wis last eeditit on 19 Juin 2017, at 23:36.